Intricate, carved ridges adorn the ceramic glaze of the Otranto table lamp from Heathfield & Co. The curved silhouette of the base enhances the softened detailing of the base. The lamp is easily adapted to suit all manner of interiors owing to the range of colours available. The base can be custom made in vibrant coral or calming ivory crackle. Alongside this, select a shade according to the design of your room. For a corresponding statement look alongside the coral base, select a standout gunmetal satin shade. 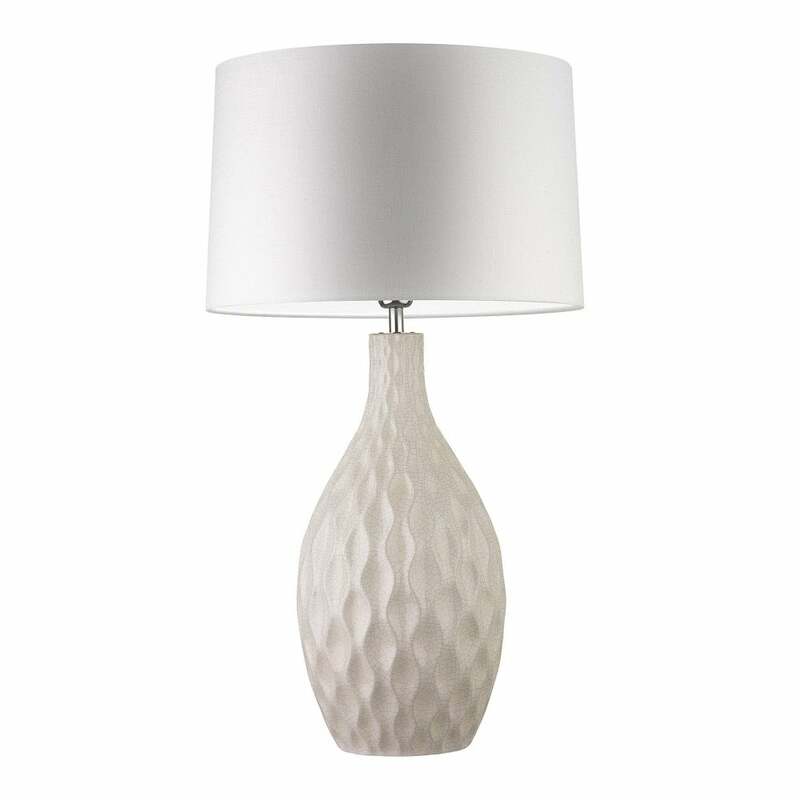 To extend the cool, crisp approach of the ivory crackle lamp style with a calming white linin shade.